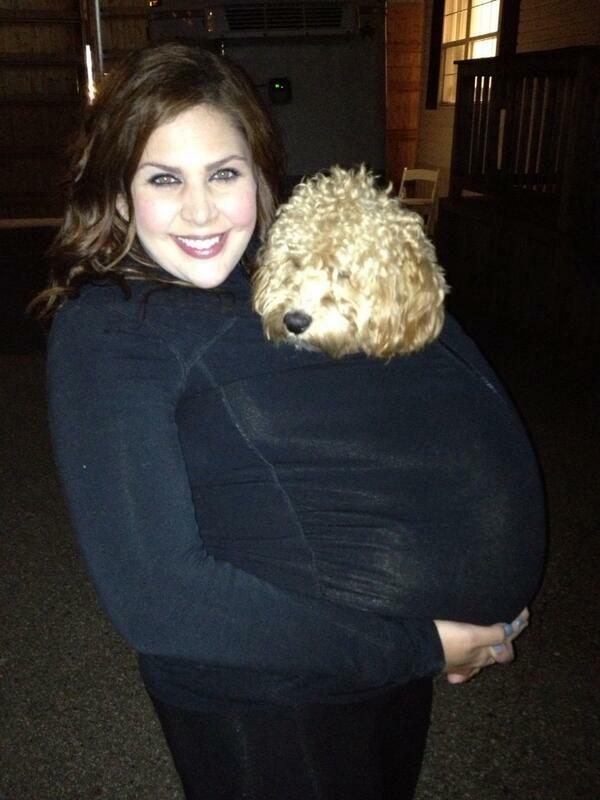 Mom-to-be Hillary Scott got some practice carrying around her soon-to-be born baby in this hilarious pic shared on the Lady Antebellum Twitter account. “it’s a girl… a very furry girl. – ck”, wrote band member Charles Kelly. Scott and her husband, drummer Chris Tyrrell are expecting their first child, daughter. The couple married last year January 2012.